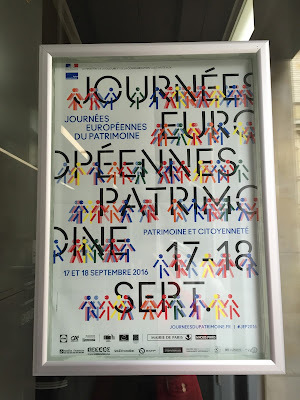 It was the weekend of European Heritage Days (called Journée Européennes du Patrimoine in French). This annual event offers opportunities to visit numerous monuments and sites across the 50 signatory states of the European Cultural Convention, mostly free of cost and with special exhibits and displays which are reserved exclusively for this occasion. This year the theme for this event in France was “Heritage and citizenship”, which according to Jean-Pascal Lanuit, (Director, Cultural Affairs of Ile de France), helps to go beyond the concept of nationality and gives a broader collective sense to the event in terms of political engagement of all the individuals that live in France. This year, 17,000 monuments were exclusively opened for this day throughout France with 26,000 temporary exhibits, 2,500 of them being the Paris region. Owing to Mitra, I already share my life with the scientific world. So this year I decided to visit a site which is in the very crux of the scientific heritage of this city. It is well known; nevertheless I must point out that one Parisian family holds the distinction of having the most number of Nobel laureates among its members, the Curie-Joliot Family. Four laureates, namely Pierre and Marie Curie and their daughter and her husband, Irène and Frédéric Joliot-Curie and they share five Nobels among them. This owes to Marie Curie, who is the only individual till date to have received two prizes in different scientific fields. 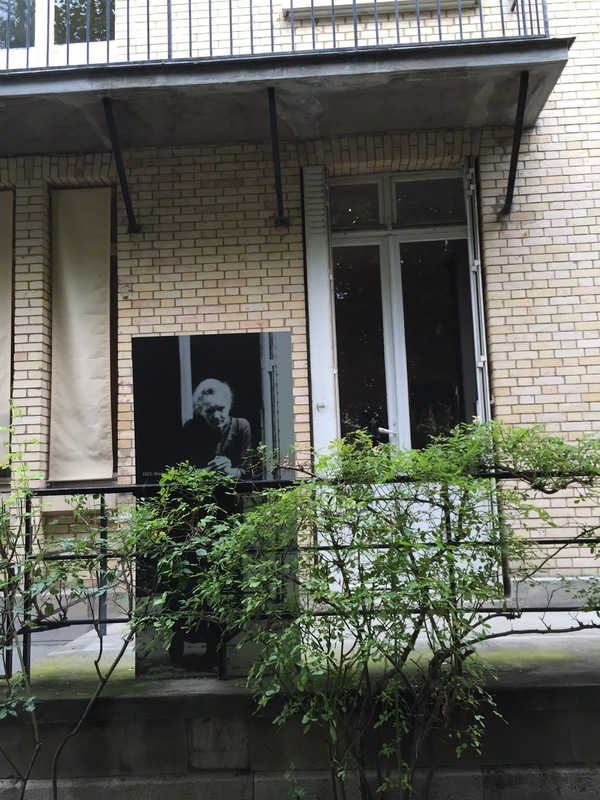 Thus, this European Heritage day, we set out to trace the footsteps of one of the most celebrated scientists of Paris, Marie Curie. In 1995, almost sixty years after her death, the French government decided to lay her to rest under the Pantheon, which made her the first women to be interred in there on her own merit. 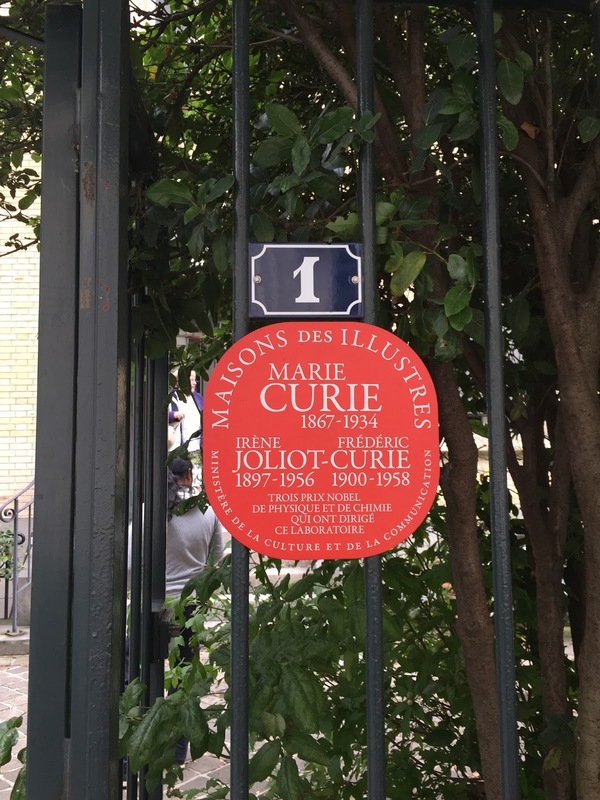 The media at the time pointed out that Marie’s achievements were more symbolic in the sense “Marie Curie was a woman, she was an immigrant and she had to a high degree helped increase the prestige of France in the scientific world”. Marie was born in the old town of Warsaw, and six years ago we had the opportunity to visit the house where she was born. We had also the opportunity to visit her final resting place, her crypt in the Pantheon. But between birth and death, this European heritage day, we visited the place where her legacy was created, the laboratory where between physics and chemistry, she and Pierre created magic, between myth and reality, they discovered polonium and radium in 1898. 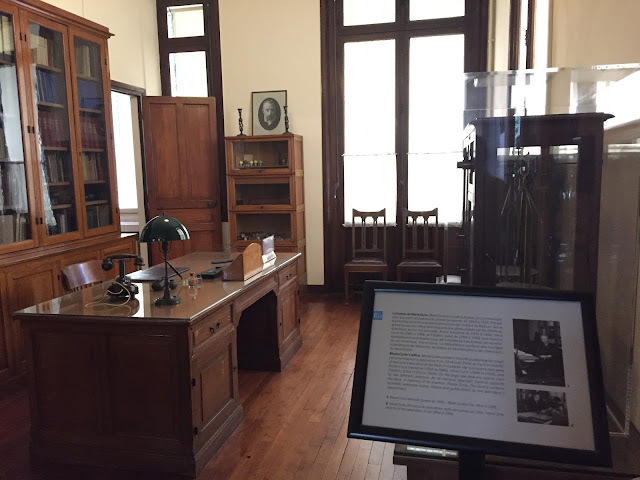 The Curie laboratory which was a part of the former Radium Institute, now houses the Musée Curie dedicated to the scientific research carried out by the four illustrious members of the Curie-Joliot family. Left : The house where Marie Curie was born in Warsaw, Poland. Right : The tombs of Marie and Pierre Curie at the Pantheon, Paris. 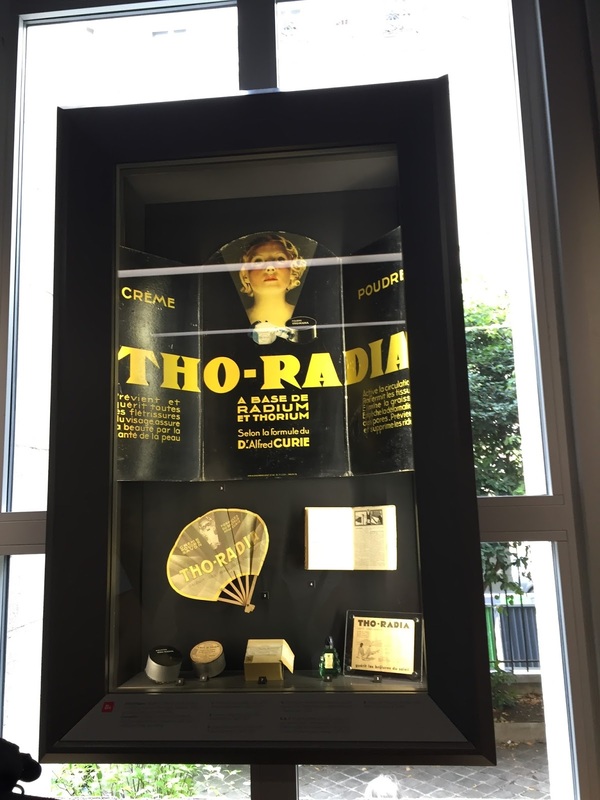 The Radium Institute was created in 1909 for the study of radiation and its medical applications, and is now located on Rue Pierre et Marie Curie in the 5th arrondissement of Paris. The institute comprised of two laboratories, one dedicated to medical research and biology headed by Dr.Claudius Regaud and the other housed the Curie Laboratory which was used by Marie Curie till her death in 1934. It was in this laboratory that Irène and Frédéric Joliot-Curie discovered artificial radioactivity for which they were award the Nobel Prize in Chemistry the following year. The museum was renovated in 2012, and now retraces the timeline of the history of radioactivity and the first use of radiation in treatment of cancer. 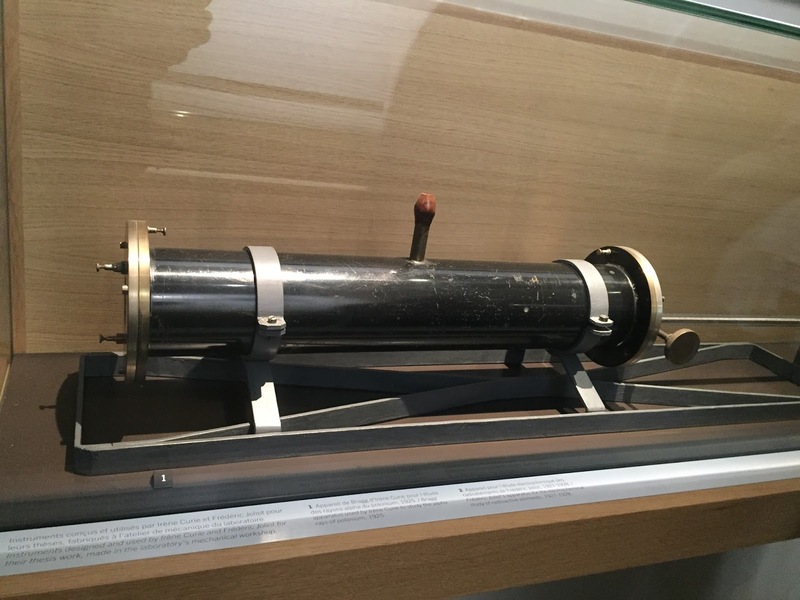 Lead mahogany box given to Marie Curie by the American President in 1921 and replicas of the 10 tubes made of Thuringen glass 0.27mm thick, that contained one gram of radium. 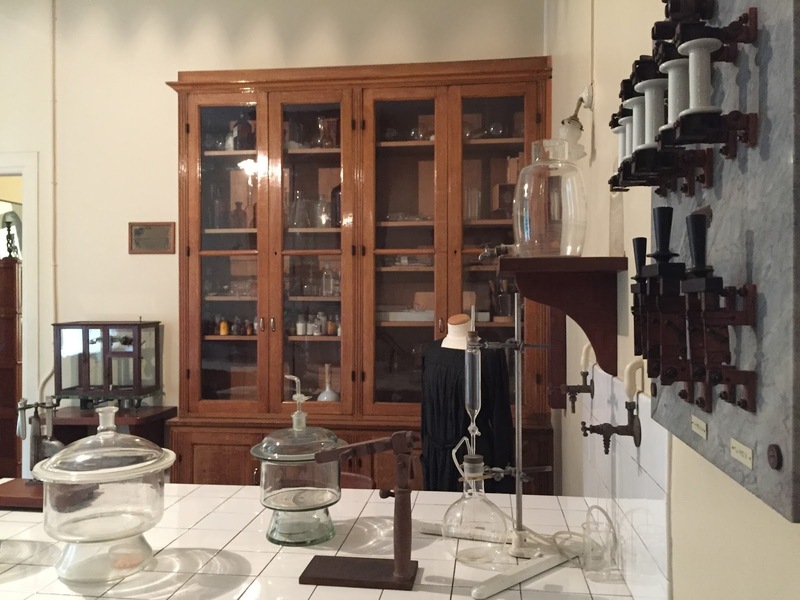 Marie Curie’s old chemistry laboratory can also be seen in the museum. Due to her extended work on radioactivity, all her personal belongings including her papers and even her cookbook were highly contaminated and thus dangerous to handle. Her lab in the Radium Institute was decontaminated and reconstituted in 1981. 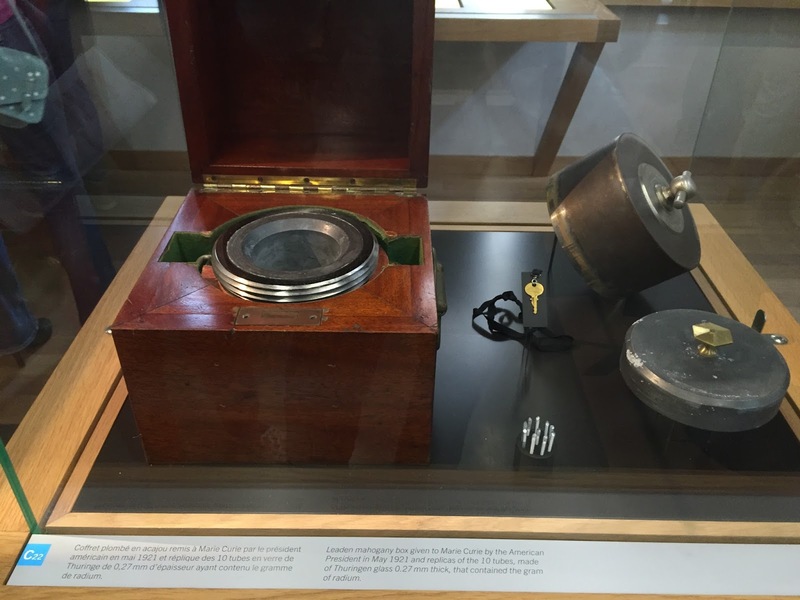 On display are the equipment, apparatus and glassware used by Marie for her delicate experiments in physics and chemistry. 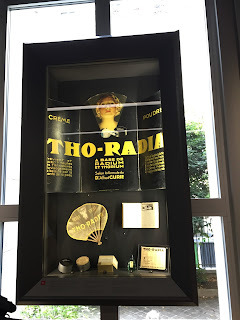 The adjoining office that Marie used for the last 20 years of her life and which was used by the consequent directors of the Radium Institute can also be visited. Just beyond the office is the garden laid out by Marie herself, which till date is preserved in the very form as it was created. 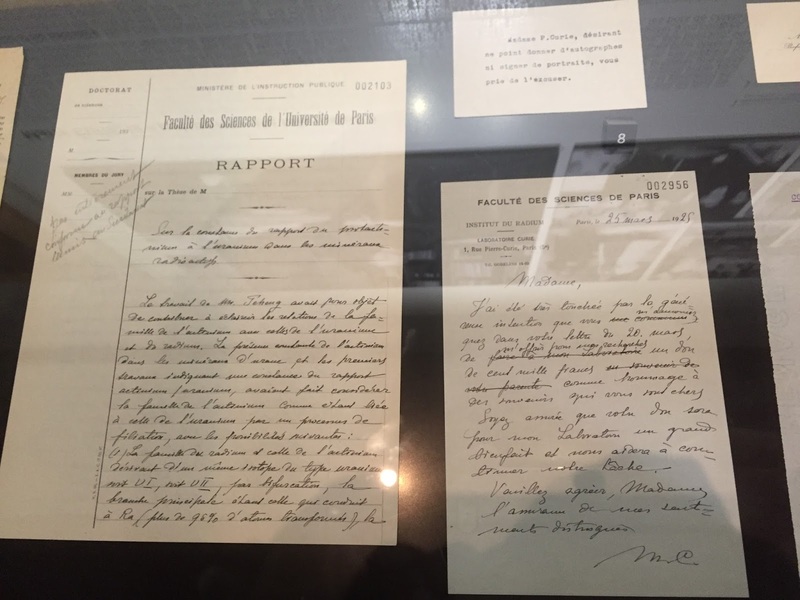 Report of a thesis and some official letters written by Marie Curie. 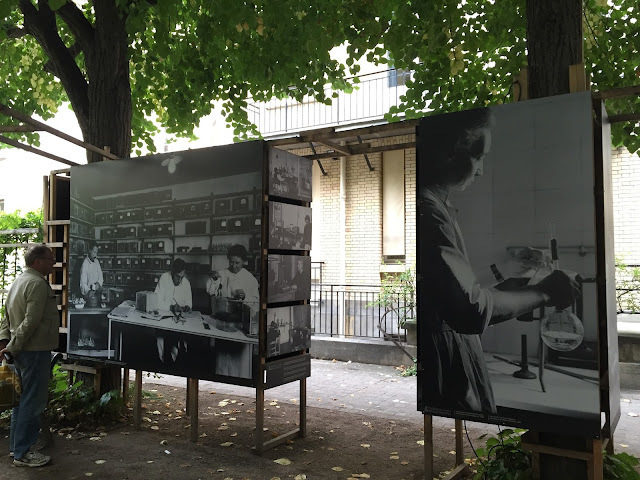 In this garden, there was a special temporary exhibit called "Lab Benches and Lab Coats" (Paillasses et blouses blanches in French) displaying old photographs of the Radium Institute taken by the Marie, Irène, Frédéric and other collaborators of the institute during the early half of the 20th century. 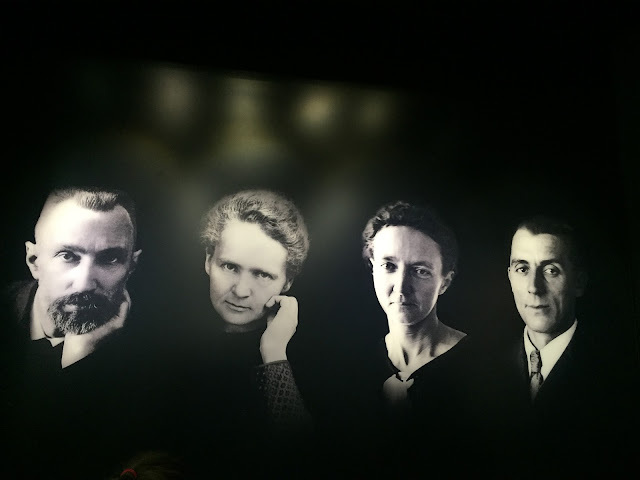 In the Museum Curie on this day, there was also a sellout of old books belonging to the Radium Institute. There I came across the one of the earliest press editions of the biography of Pierre Curie written by Marie Curie and could not resist taking it home. It also includes many old photographs of the Curie family and their laboratories and “hangars” where they carried out their historic experiments. It also includes an annex by Irène, where excerpts from the laboratory notebooks of the Curies can be seen, featuring the famous excerpt of 1898 where Pierre and Marie noted their results that finally lead to the discovery of radium.